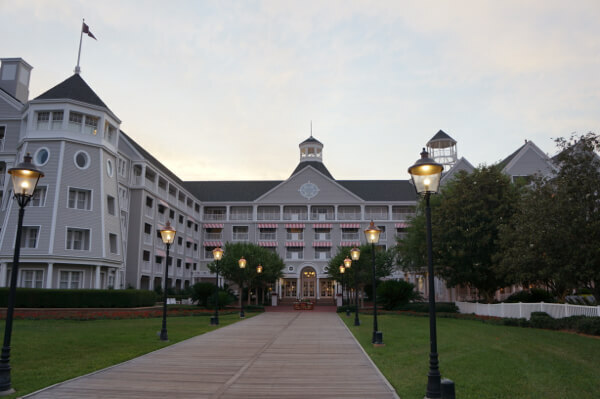 Last month, while attending Disney’s Social Media Moms Celebration, I stayed at Disney’s Yacht Club Resort at Walt Disney World- one of the few Disney resorts that I hadn’t stayed in. My family generally prefers the Beach Club Resort, because we’ve felt that the Yacht Club was a little “stuffier” and maybe less kid-friendly. But, I was pleasantly surprised to find that the Yacht Club was just as much fun and welcoming as its sister resort. Our great experience started at check in, when the cast member at the front desk went out of his way to accommodate a few special requests we had. There’s also ample staff in the front lobby ready to help – from concierges to bell staff to a greeter. 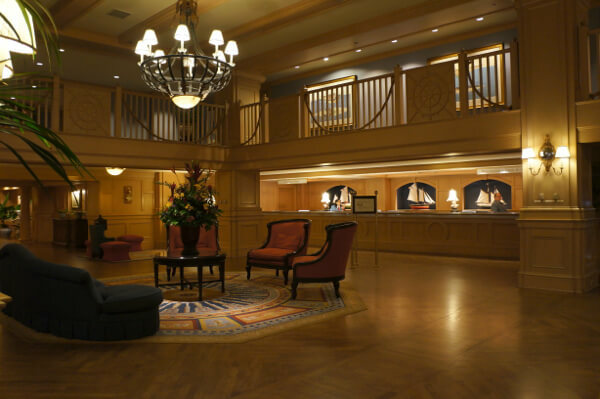 The lobby is welcoming, and we often saw many families gathering there. Our room, a standard two-queen bed with a garden view, was perfect for us. It had two queen beds, a pull out couch, and a refrigerator. While my little ones will sometimes sleep in the same bed, some times they’d rather not, so the pull out couch is very helpful for us to have. The room also had a small balcony, and a sink area separate from the shower/toilet. The Yacht Club shares a main pool with the Beach Club. The pool, called Stormalong Bay, includes a lazy river, a standard pool, and a sandy bottom pool. My kids really enjoyed the sandy bottom pool, and spent quite a bit of time building sand castles. The hotel also offers a quiet pool, along with two on-site restaurants, a gym, and a beauty salon. There are also several restaurants and an arcade at the Beach Club. The only negative we saw is that there is very limited selection of quick service food. There’s no food court, and the grab and go area is fairly makeshift. My family really loved the location of the Yacht Club. It’s walking distance to Epcot, the Boardwalk area, and Hollywood Studios, and has buses to the Magic Kingdom and Animal Kingdom. Like all Disney properties, you can take the complimentary Magical Express to and from Orlando International Airport, and have access to Extra Magic Hours at the parks. We’ll definitely stay at the Yacht Club again. Check prices online at Hotels.com or Expedia.